In this article we examine, in the context of equilibrium-to-equilibrium reference trajectory tracking, the Generalized Proportional Integral Derivative (GPID) control of a nonlinear average model of a DC-to-DC power converter of the “Boost” type. The design approach relies on the converter’s tangent linearization model and Lyapunov stability theory. 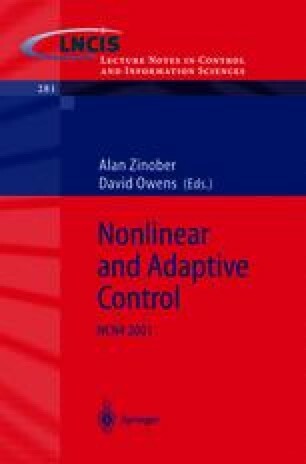 The performance of the feedback controlled nonlinear system is evaluated by means of digital computer simulations including large, unmodelled, load parameter variations.